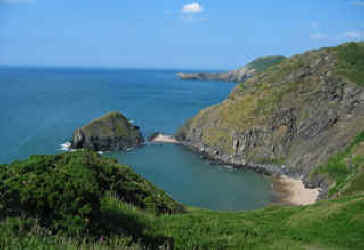 Cardigan is a small market town and resort situated on the west coast of Wales, on the estuary of the River Teifi. 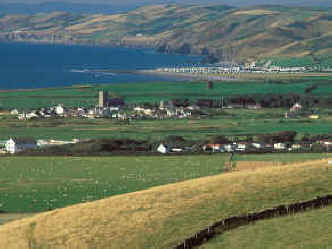 The town has been the centre of trade and commerce for the county of Ceredigion for more than a thousand years - and the location for the local produce markets and the administration and justice buildings. The town has a charm of its own, with many Victorian and Georgian buildings along its twisting streets. Overlooking the river are the remains of Cardigan Castle which dates back to the 12th century was built by Gilbert de Clare as part of the expansion of the Normans. By the end of the 13th century it was King Edward I who had laid claim to the castle. Thereafter peace reigned for almost four centuries, until 1645 and the English Civil War, when Oliver Cromwell took it upon himself to storm the battlements. Such was the damage that the castle lay uninhabited until the early 1800s when a private mansion was built on the property marking the end to the turmoil that has given Cardigan Castle the unique heritage it boasts today. In 2000 the castle was entered into the BBC2 Restoration Project but failed to win enough votes to attract funding for restoration. The local council are planning to restore the castle if funds are forthcoming. Cardigan once had a thriving shipbuilding with five shipyards and in the 19th century over 300 ships were registered at the port. However trade declined dramatically after the turn of the century and the river silted up and business transferred to the ports on the south coast. Perhaps the towns most famous association is with the world famous cardigan - a type of woollen sweater with buttons at the front - which was named after James Thomas Brudenell, 7th Earl of Cardigan, who led the Charge of the Light Brigade at the Battle of Balaclava in 1854. He survived to tell the tale and Cardigan has a captured Russian gun on show, from the notorious battle.